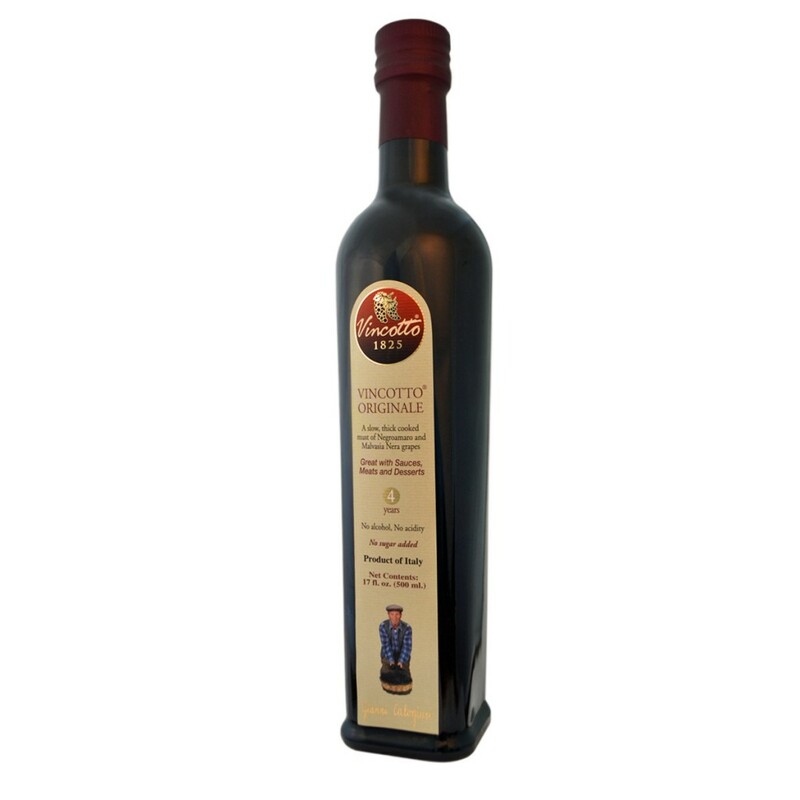 Before balsamic vinegar, there was… Vincotto ! This versatile condiment is made by slowly cooking down freshly squeezed grape juice to a syrupy consistency. It’s thought that balsamic vinegar made its first appearance in the kitchen thanks to a batch of vincotto that was left in the sun long enough to ferment. For centuries, vincotto was used primarily as a sweetener in the days before cheap table sugar was widely available. Today, cooks around the world appreciate vincotto for it’s tart flavour and enchanting aroma. Walk into pretty much any kitchen in central Italy and you’ll likely find a bottle of vincotto in the pantry made from the red and white grapes found in the region. Vincotto has come a long way from its modest origins as a sweetener. You can find it on the shelves of many good gourmet food stores, and trust us it’s worth every penny. Applications are almost limitless: pimp out figs, cheeses or vanilla ice cream with a drizzle of vincotto. Looking for a refreshing cocktail? Italians like to mix a few drops of vincotto with sparkling water to help them through those hot summer days.